In many countries their first president is considered to be the father of the nation. 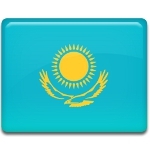 Regarding this, Day of the First President was established in Kazakhstan to celebrate the day, when Nursultan Nazarbaev became the first President of independent Kazakhstan in 1991. The idea of creation of this holiday appeared in 2011, on the tenth anniversary of Nazarbaev's presidency. The idea was supported, but Day of the First President appeared in the list of public holidays of Kazakhstan only in 2013. Nursultan Nazarbaev officially became the first President of Kazakhstan on December 16, 1991. On December 1 the first presidential elections were held and Nazarbaev won 91.5%. This anniversary was chosen to be Day of the First President. Nazarbaev's presidency is characterized with numerous political, social and economic reforms, that made Kazakhstan one of the favorable countries for foreign investment. Currently Kazakhstan faces the rapid growth of economy, that makes it one of the important states on the international arena.